The Acid Reflux symptoms and trigger factors range from person to person with acid reflux disease, it is very important to find a healthy GERD diet for you. While this may sound a bit complicated to you, it’s really easy once you start making the list and you start to follow it. 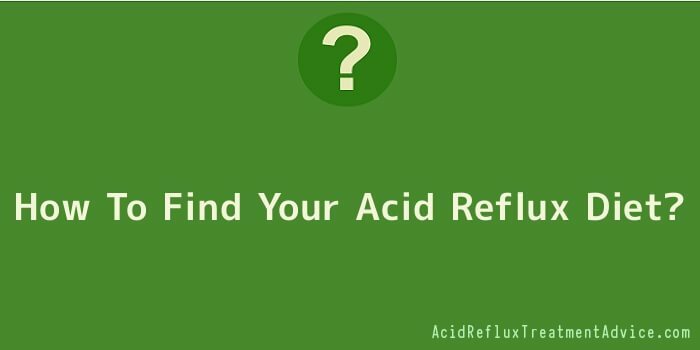 The acid reflux diet is the best proven way to treat your symptoms of acid reflux. Strictly following a diet of acid reflux food to avoid, you probably get a step ahead of acid reflux problems. It is very essential to know the root cause of why a person suffers from Heartburn. Finding the origins of esophageal pain may mean that you also found a way to beat it. In fact, it is indeed possible to have a peaceful night’s sleep without worrying about the pain that occurs suddenly in the night. Some people just try a bland diet to avoid acid reflux. But, unfortunately, this will not cure the disease. GERD is a lifelong disease that can only be treated and not cured. And the most familiar way to treat it today is the avoidance of certain foods that cause heartburn. The GERD diet consists of foods that you need to stay away from – and these are: lemon, orange, cranberry, and grapefruit. You’ve probably noticed that these food items are mostly citrus. Some vegetables need to be avoided as well: such as French fries or mashed potatoes and also raw onions. The hot and spicy foods should also be avoided as they are known to be factors that trigger heartburn. If you start using this diet, get it up and running, then you can easily get away from heartburn pain. Well, it is natural for you to be discouraged if some of your favourite food items have been removed by the diet. In fact, you should feel absolutely blessed because there are food items that you can still include in your acid reflux diet. You can still enjoy your apples and bananas…And you can have baked potatoes, broccoli, carrots and green peas…Chicken and steak are still allowed provided they are not spicy or greasy. It also helps to include egg whites and whole grains in your diet. It’s good to have little carbohydrate count.